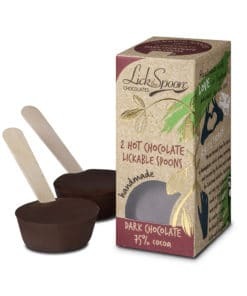 Hot Chocolate Spoons in Dark chocolate. Two per pack. The perfect way to add a little naughtiness to your hot drink. 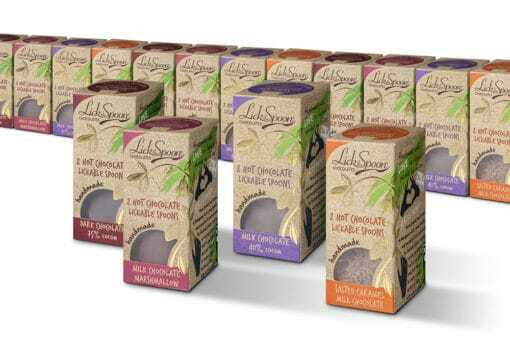 Enjoy as a tasty treat or luxurious hot chocolate. Made with our house blend 75% cocoa dark chocolate using Raisetrade Madagascan dark chocolate adding a rich naturally fruity flavour. New increased weight of 70g! 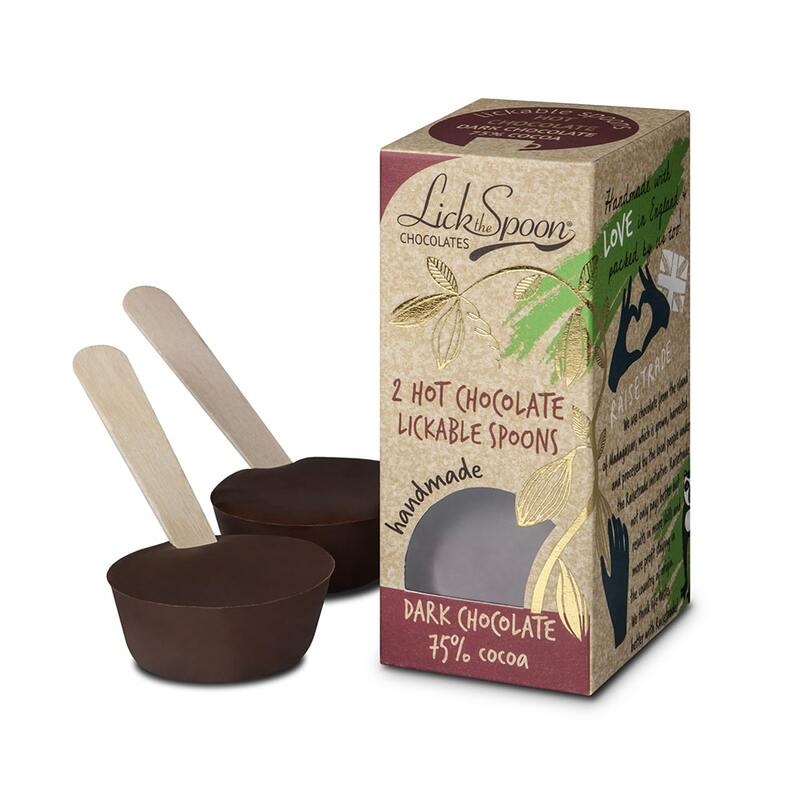 Hot Chocolate Spoons in Dark chocolate. Two per pack. The perfect way to add a little naughtiness to your hot drink. Enjoy as a tasty treat or luxurious hot chocolate. A lovely gift or why not treat yourself, perfect for birthdays, Christmas gifts, stocking fillers and Secret Santas. Made with our house blend 75% cocoa dark chocolate using Raisetrade Madagascan dark chocolate roasted and conched on the island of Madagscar for a rich naturally fruity flavour. Beautifully decorated with illustrations by artist Stephanie Cole and gold foil blocking. The boxes are cardboard and have a biodegradeable window made from a cellulose based acetate. They can be composted or recycled with cardboard.